LGBT individuals encompass all ethnicities, races, social classes, and religions. Unfortunately, research has shown that LGBT communities face health disparities which can be linked to discrimination, social stigmas, and denial of human and civil rights. Eliminating disparities in healthcare among the LGBT community is necessary to ensure that people can live healthy, long lives. The LGBT community should have equal access to healthcare. What follows is a list of resources concerning health in the LGBT community. Psychiatric Concerns – American Psychiatric Association published a Q & A on this web page related to its stance that homosexuality is not a mental impairment. HPV Vaccine – Read this web page for news on a vaccine for males determined to be a safe preventative measure for human papilloma virus (HPV). 10 Issues for Trans Persons to discuss with Doctor – Gay & Lesbian Medical Association provides this helpful list of topics that should be brought up between the trans person and the physician. Endocrine Treatment for Transsexual Persons – This site is a patient’s guide to hormone treatment for the development of transsexual physical (external and internal) characteristics. STDs – Centers for Disease Control and Prevention offers some detailed information regarding infections that can occur for homosexual and bisexual individuals. Bacterial Infections in WSW – Women who have sexual relations with other women are at higher risk for bacterial vaginosis. LGBT Health Issues – This site provides information regarding the various issues faced by individuals in these population groups. WSW and AIDS – Here is some information WSW should know about the spread of HIV. Lack of Education – Read this report of a study that shows most medical schools spend little to no time addressing LGBT health issues. Hepatitis – For a description of symptoms and available treatment of Hepatitis A, B, or C, this site is very informational. Hate Crimes – Anti-gay violence can lead to physical injury and psychological damage. Read more about the effects of this type of harassment, how to avoid it, and what to do if you are the victim. Cancer Risks for MSM – American Cancer Society provides some helpful insights as to why there are barriers to health care for homo- and bisexual couples. Read this for info on cancer risks specific to MWM. Aging LGBT Population – Visit this site for information on National Resource Center on LGBT Aging and its mission. Help for LGBT Drug Addiction – Studies show that illegal drug use is more prevalent among homosexual rather than heterosexual couples. There are programs to treat the addictions; this is one such program. Greater Cancer Risk – This site provides info on the currently known reasons as to why LGBT persons are at a greater risk for cancer than other population groups. WSW and Cancer – Much of the reason for increased risk in this health group is fear of discrimination by practitioners that could prompt lesser care. Read more here. Northwest Network – Based in Seattle, this organization is a resource for LGBT victims of domestic violence. Tobacco and LGBT – Tobacco use is especially high according to studies of gay men. At this site, learn more about these statistics and how to take action toward reducing those numbers. LGBT & Bullying – This population group is often a target and aside from potential physical injury, the emotional effects can be life-long. Here is an informational site on where to go for support in the community, and for someone to talk to 24/7. U.S. DHHS Actions - Visit this site for a summary of this organization’s actions to benefit LGBT; these followed President Obama’s memorandum to address the rights of ALL hospital patients. National Coalition for LGBT Health – Find out this Coalition’s goals and mission regarding the LGBT population. Clinicians’ Guide – This 35-page document from Gay & Lesbian Medical Association shows that barriers do exist between LGBT and health care practitioners, and how providers can assess practices to provide the best care for ALL of their patients. Disparities in Health Care – Often LGBT family members are not given access to health insurance sponsored by employers, thus they don’t seek care as often as they should. Read more here. SAGE - Read more about this national organization that advocates for the LGBT population. STD transmission – Specifically for WMW, this site provides information on lesbian STDs and other health issues. Project Inform – Find out about this group that advocates for those with HIV/AIDS and works toward finding a cure. Health Barriers – Read this document which spells out the health issues for the LGBT community and statistics that prove discrimination does exist among health care providers. Health Insurance – Human Rights Campaign addresses some of the reasons why so many trans persons don’t have health insurance. UC Davis Medical Center – Human Rights Campaign Foundation recognized the Center as a Healthcare Equality leader for LGBT employees and patients. LGBT Teens & Depression - At this site, there is some insight as to why so many gay teens suffer from depression. Suicide Among GLBT Teens – Read this report that finds high rates of suicide among Gay, Lesbian, Bisexual, and Questioning teens. Resources for LGBT teens – Centers for Disease Control gives a wealth of information concerning LGBT teens and bullying, along with actions schools can take to create a safer place for this population. The Trevor Project – This national organization offers crisis intervention services and help in preventing suicide among LGBTQ youth. Suicide & LGBT youth – Discover the meaning of “suicide contagion” and learn do’s and don’ts for discussing suicide safely. Alcoholism – This site provides a generous amount of information regarding the connection between alcohol abuse and LGBT individuals. Women’s Health – Lesbian and bisexual women have elevated health risks compared to heterosexual women. Read more about that, and how they can better advocate for their own good health. 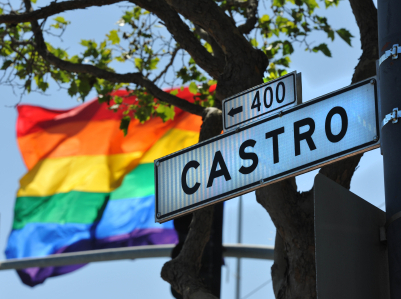 LGBT Health and Research Resources at UCSF – The PRIDE Study is a long-term collaboration between the LGBTQ community and UCSF health researchers that will inform decisions impacting the community health. W PATH – In 2011, the newest edition of World Professional Association for Transgender Health’s publication of healthcare standards for gender nonconforming individuals. Read more about this health professionals’ guide. NALGAP – This national association serves the LGBT community by advocating for anti-discriminatory practices and support for substance addiction.